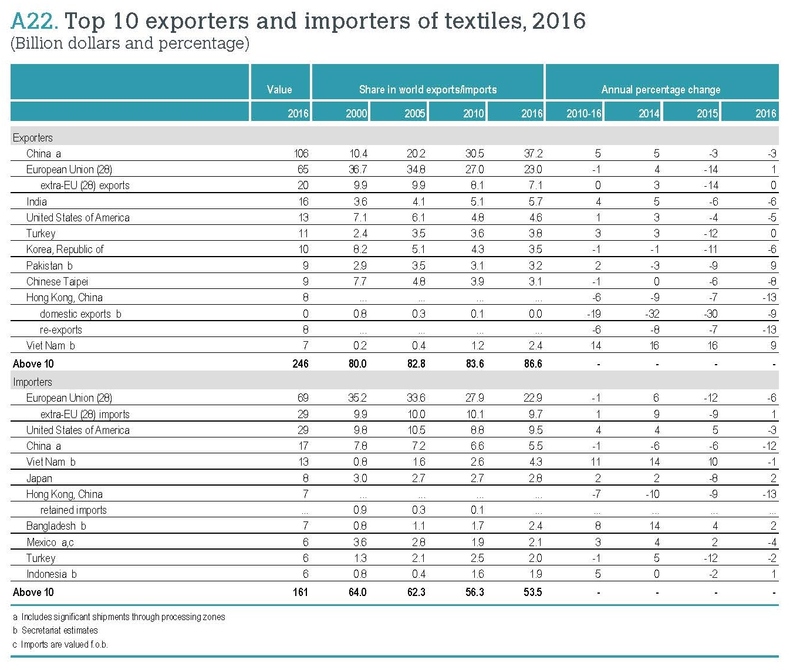 “This is the second year in a roll since 2015 that the value of world textiles and apparel exports grew negatively.” Was this negative growth a result of changes in trade policies which have been changing a lot recently. Also, I know in the US Americans have become more aware of protecting the environment, not wasting goods and safe manufacturing. 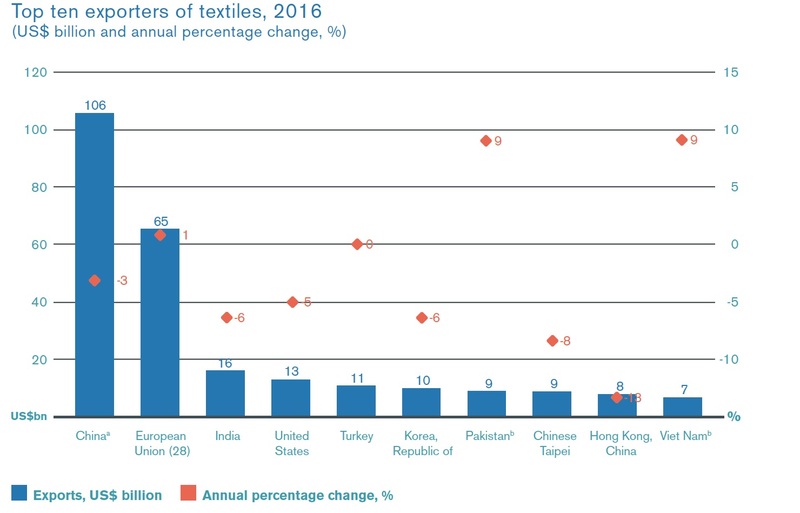 Would this have any impact on these statistics and the growth of world textiles and apparel? Good question! Trade protectionism could affect trade flows negatively, but the macroeconomy is having a more significant impact. 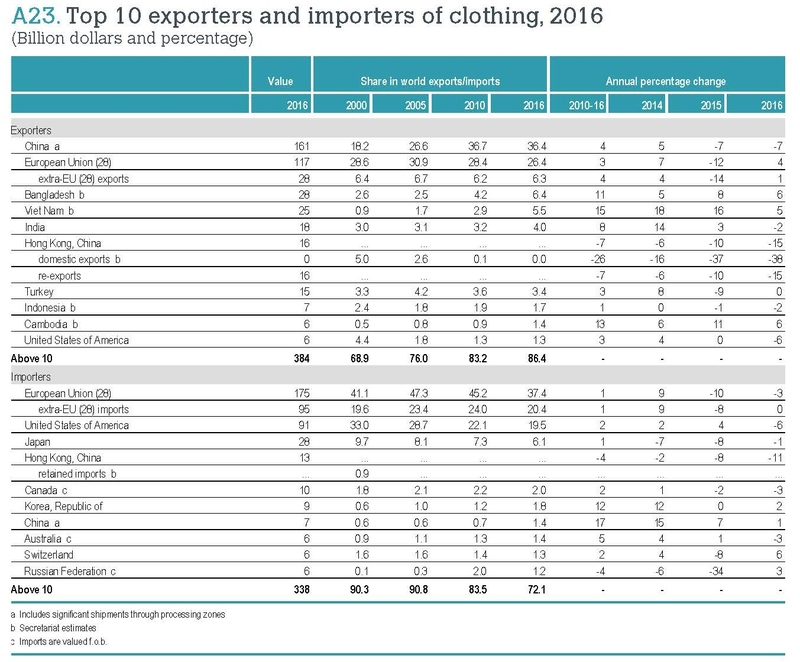 Notably, the global T&A trade went down 7.2%-8% from 2014 to 2015 (https://shenglufashion.wordpress.com/2016/07/27/wto-reports-world-textile-and-apparel-trade-in-2015/), which did not appear to be the result of new trade restrictions. 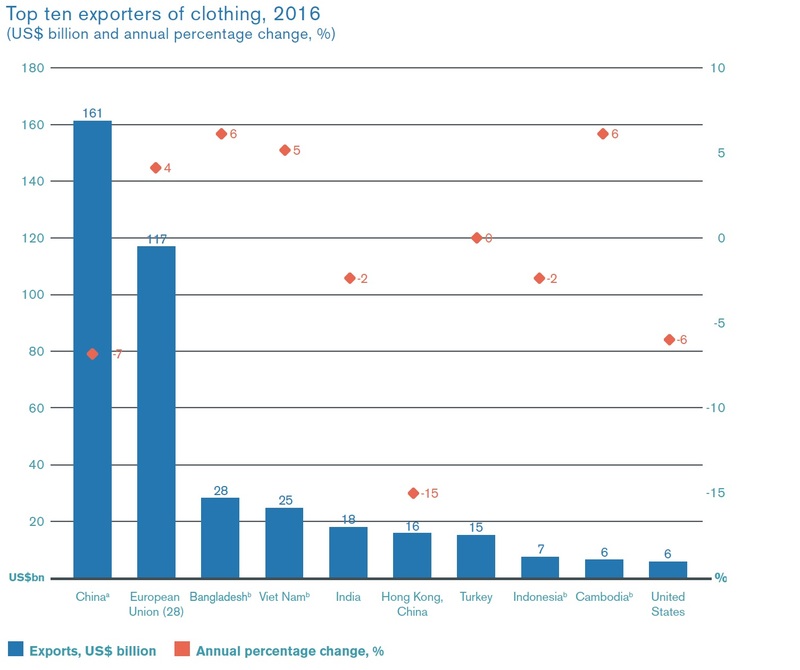 However, because trade policy today can be very specific (for example, levy punitive tariffs on a particular product), trade flows of those products affected may see a substantial decline or fluctuation.